No, this is not some quirky Portland perversion of pork rolled with cocoa nibs. This is pure dessert, no animals allowed—and, in Tuscany, what you might find at your grandmother’s house over the holidays. 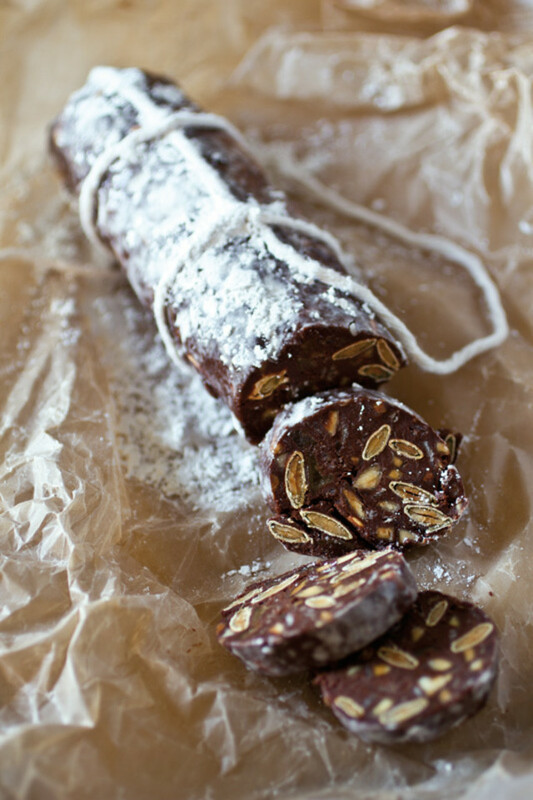 It’s chocolate salami. 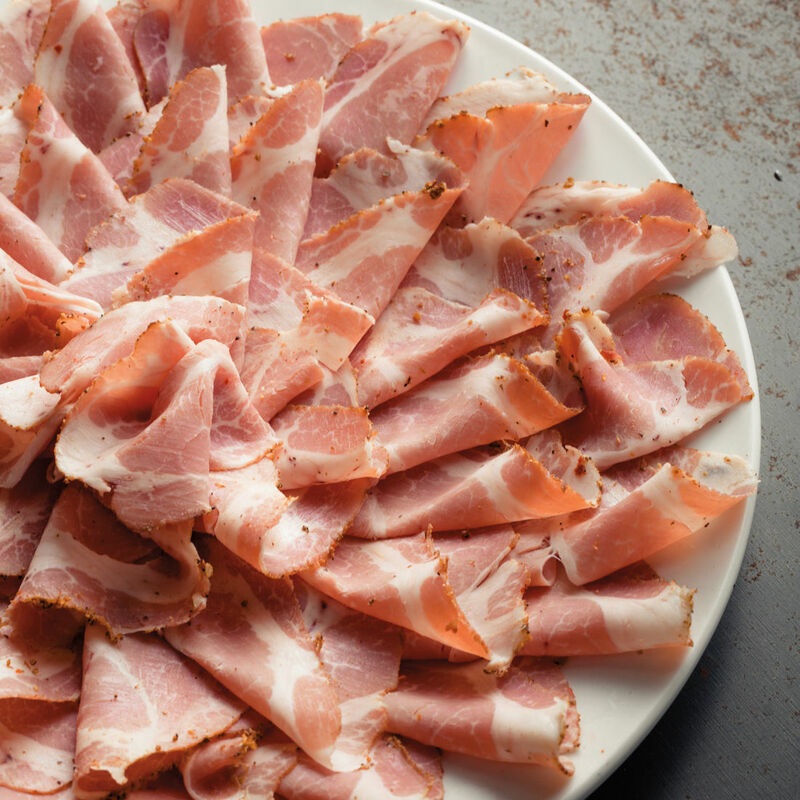 Olympia Provisions, Portland’s ever-expanding salumi empire, dreamed up several versions of the European classic to match its signature line of cured meats. 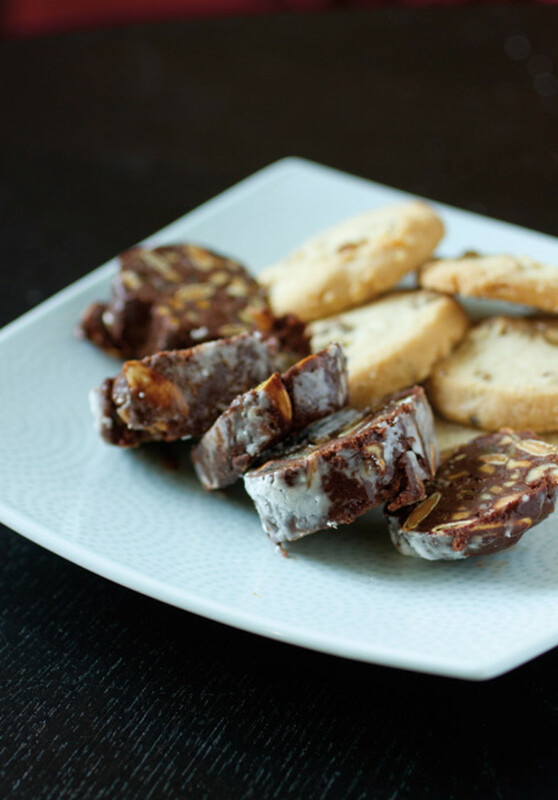 In keeping with the company’s international charcuterie theme, each chocolate salami emulates a regional flavor profile: the Spanish take, for instance, mimics chorizo (smoked and sweet paprika with cayenne pepper) while the Italian version bursts with candied orange peel, grappa, and anise seed. 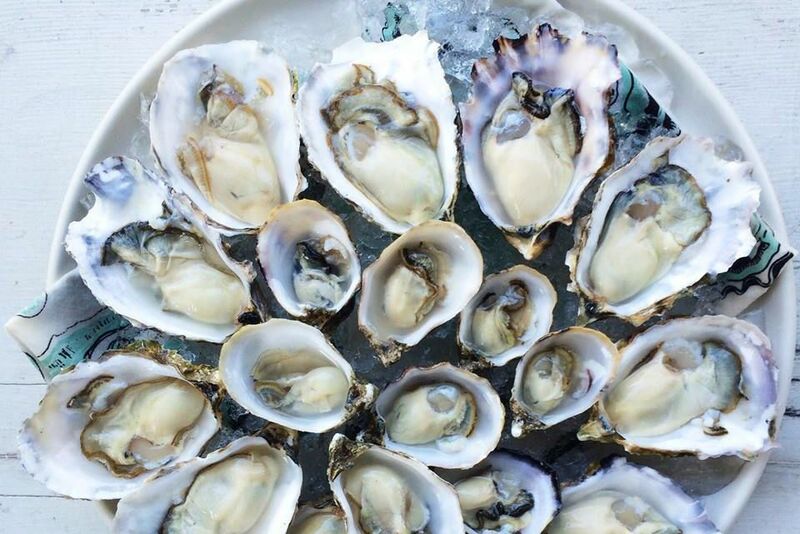 And instead of dry-aged mold, the exterior gets the powdered-sugar treatment, while the interior becomes a sumptuous minefield of nuts, candied fruit, and dark chocolate. 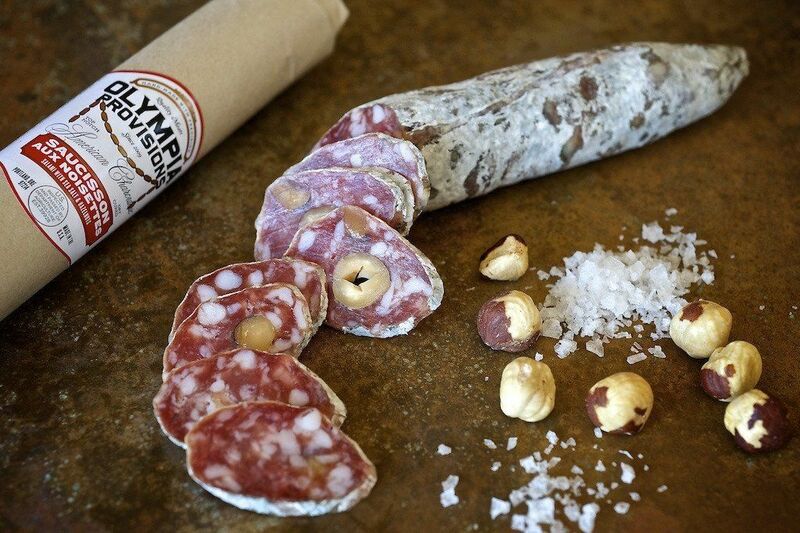 Olympia’s Francophilic salami impersonates saucisson d’Alsace. Inundated with winter spices, dark red wine, and salty, crunchy potato chip crumbs, it’s blessedly simple to make and dangerously easy to consume, especially with shortbread cookies (standing in for crackers) and a touch of marmalade. It also makes for a sweet holiday gift—a dessert in disguise. SPREAD pumpkin seeds, hazelnuts, and almonds in a single layer on a baking sheet, bake until lightly toasted (10–15 minutes) and set aside. PLACE butter and chocolate in a heatproof medium bowl over a pan of barely simmering water, whisk together until melted and smooth, and set aside. WHISK egg yolks and brown sugar in a medium bowl until thick and pale yellow; then whisk in cocoa powder, wine, orange zest, and spices until fully incorporated. SCRAPE melted chocolate and butter into the bowl with the spice mixture using a rubber spatula; add nuts, candied ginger, and potato chips; and fold together until completely uniform. PLACE mixture in a waxed-paper-lined baking dish, cover with plastic wrap, and chill for 30 minutes. SEPARATE into 6 pieces and roughly form each into a ball shape. DUST a cutting board with powdered sugar, and roll each piece back and forth to form a log 1 1/4 inches in diameter. PLACE on a waxed-paper-lined baking sheet and chill in the freezer for at least 5 minutes. 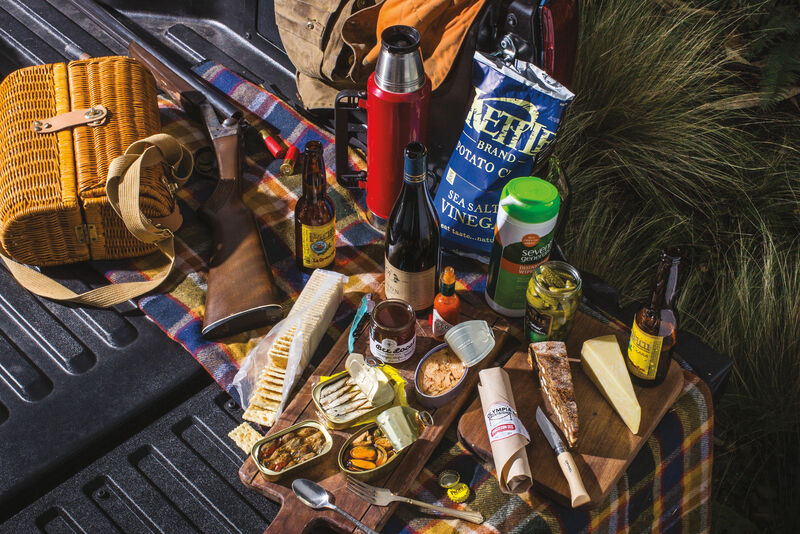 Salami will keep in an airtight container in the refrigerator for up to 2 weeks and in the freezer for up to 2 months.